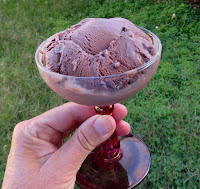 Welcome to a bonus day, Day #8, of Chocolate and Mint Theme Week. 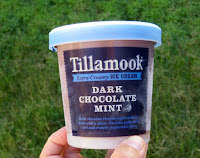 Today's Dark Chocolate Mint ice cream was from Tillamook County Creamery Association (Tillamook, OR). 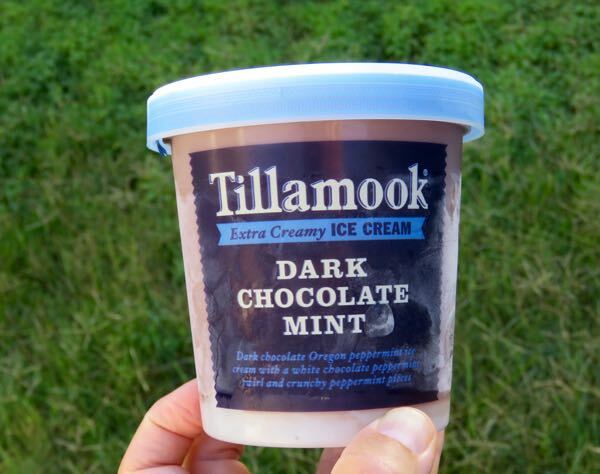 This dark chocolate Oregon peppermint ice cream—with subtle swirls of ground, peppermint candy bits—was full of rich flavors that harmonized well. 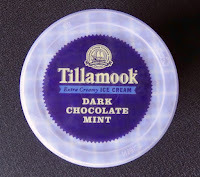 It was flavored with "natural peppermint oil," made from cream and milk with "no artificial growth hormones," and appeared to have no artificial flavors. *Made in a facility that processes other ingredients; may contain wheat.